Samuel Adegboyega University (SAU) List of Approved Postgraduate PG Courses by the National Universities Commission, NUC for the Current Academic Session. 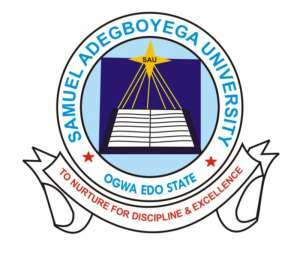 Authorities of the Samuel Adegboyega University (SAU) has advertised the following postgraduate programmes for the 2018/2019 academic session admission exercise. Recommended: Samuel Adegboyega University Postgraduate Admission Form 2018/2019.